So we’ve discussed your diet when you don’t have much to spend, now what about your workout? Assuming you can’t afford a gym membership (or maybe you’re intimidated by them, or a thousand other reasons you haven’t joined), how are you supposed to condition your physicality without fancy machines or personal trainers? I’m here to help! So let’s start from the ground up: The lower body. Before we start: Ladies. Yes, you may gain a little muscle, but without a ton of protein and possibly some mass gainers, you aren’t going to bulk up from really any amount of bodyweight exercise. Even men have difficulty getting to anything beyond “nice beach body”. I don’t really know how to put this… But regular squats are a wimpy exercise. If that’s your level and you’re just starting out, or can’t take the shock of explosive movements, by all means, do what keeps you from harm. However, if you’re like me, you get bored cranking out 50 or more reps. I like to build more strength, power, and add to my challenge. These will wreck your upper legs. Just make sure your hip crease isn’t going too far below your knees, in order to protect your joints. Again, we come to an move that has been corrupted by big box gym group fitness classes. You want calves? I gotcha calves right here. 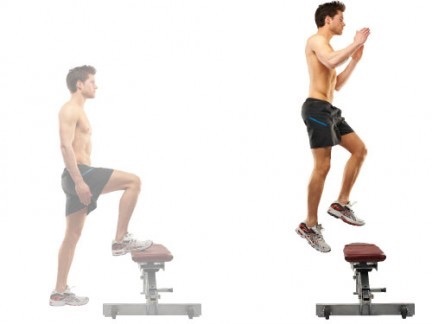 Find a bench or something about knee height (or a little taller), step one foot up, and use it to propel yourself as high as you can. Repeat with your other leg. These’ll get you good. The key to physical fitness is generally being well-rounded. Crossfit got that much right. So we’ve tackled the other muscles in your legs, and the only thing left is the glutes. 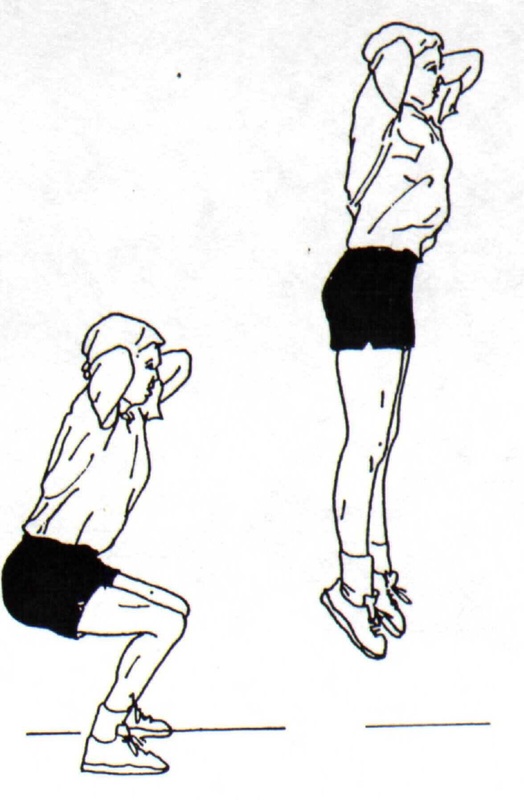 Start in a lunge position, jump, and switch your legs. You can also do backward lunges for a less-intensive booty pop. Bonus: These things also test your balance. Have knee problems? You might try running UP, instead of straight. Since the path in front of you is higher than the path that your rear leg is on, when your front leg connects with the ground, there’s less distance to travel, meaning it doesn’t build up as much kinetic energy that is then transferred to your knees. You’re also more prone to using your forefoot when you land, which CAN take pressure off your knee, although you may feel it in your ankles more. Previous Previous post: Energy bars: Which one for you?